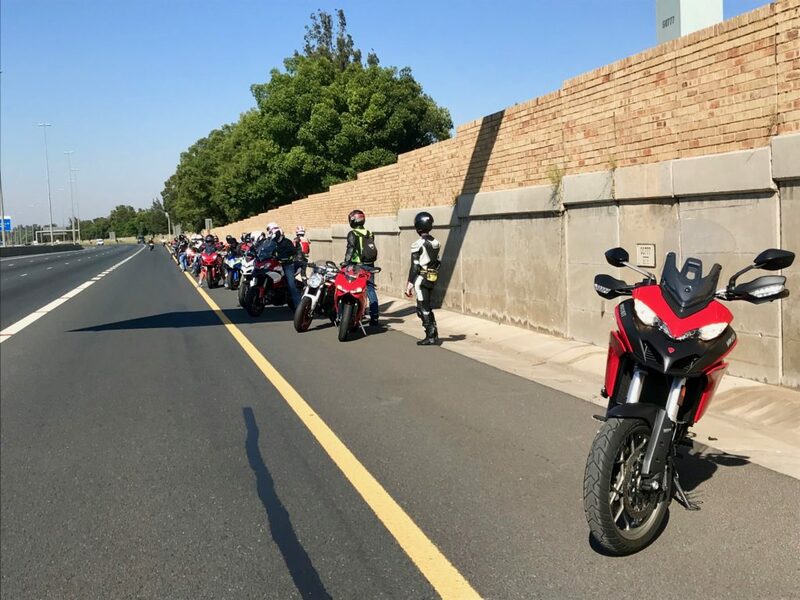 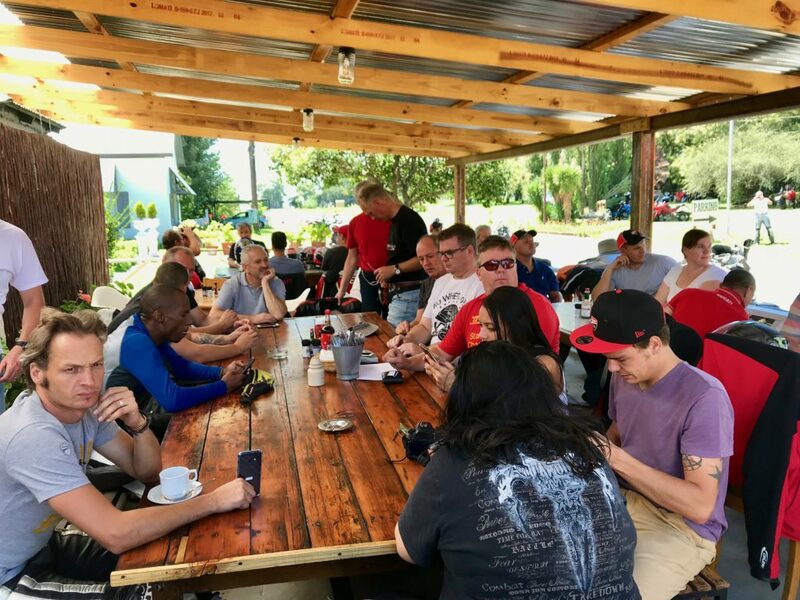 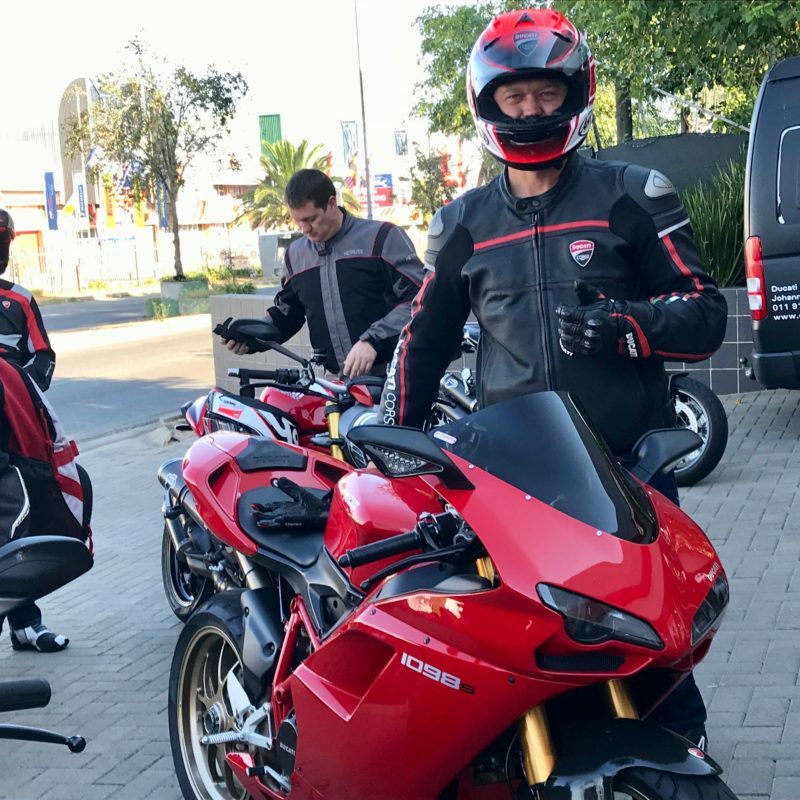 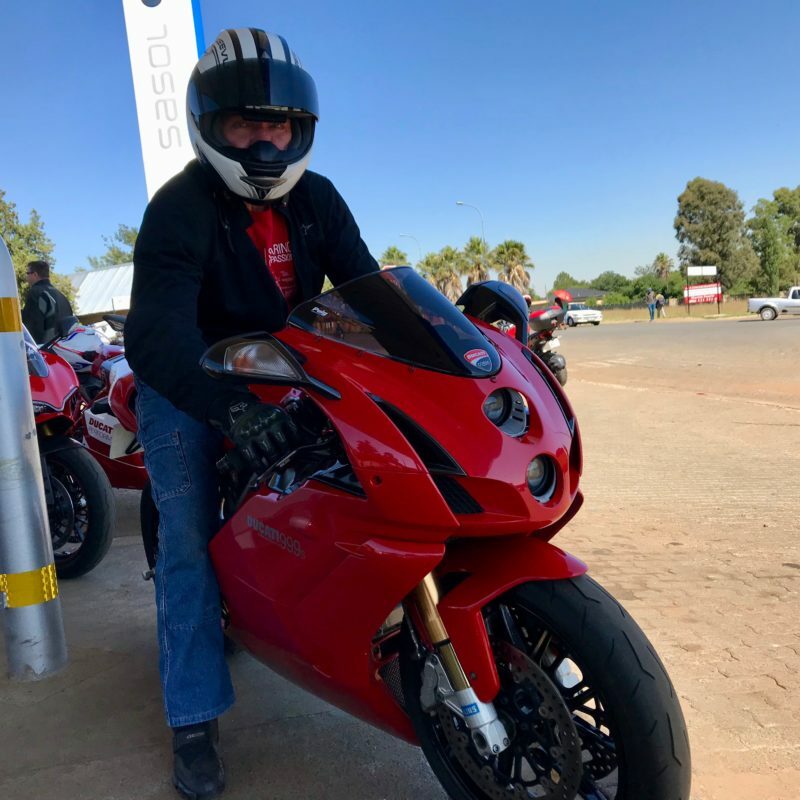 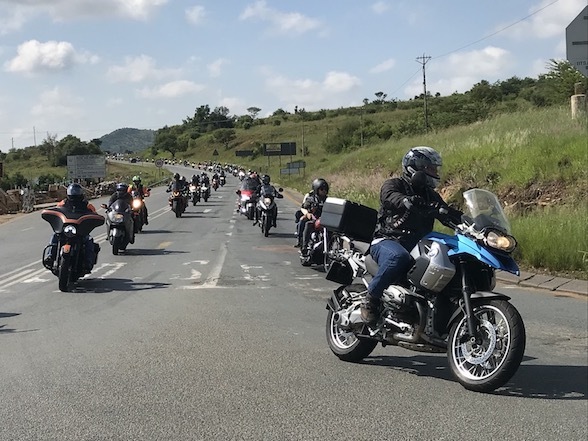 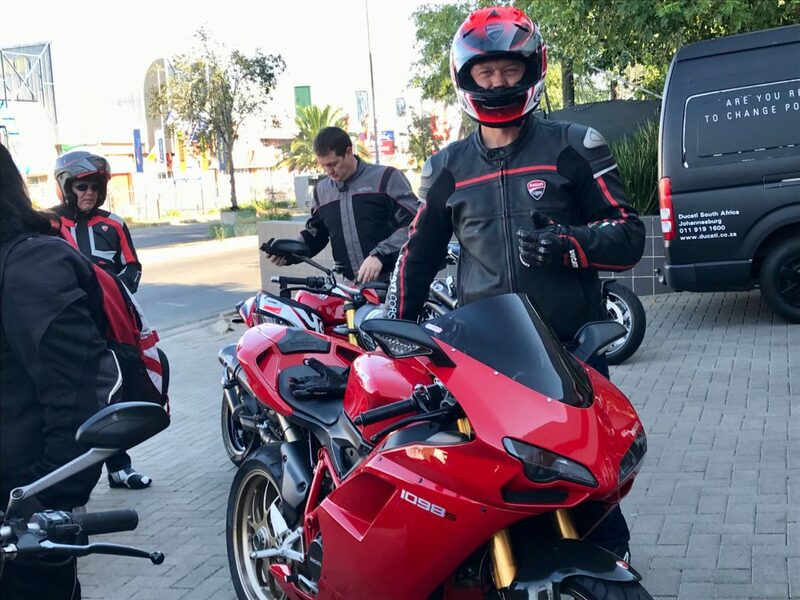 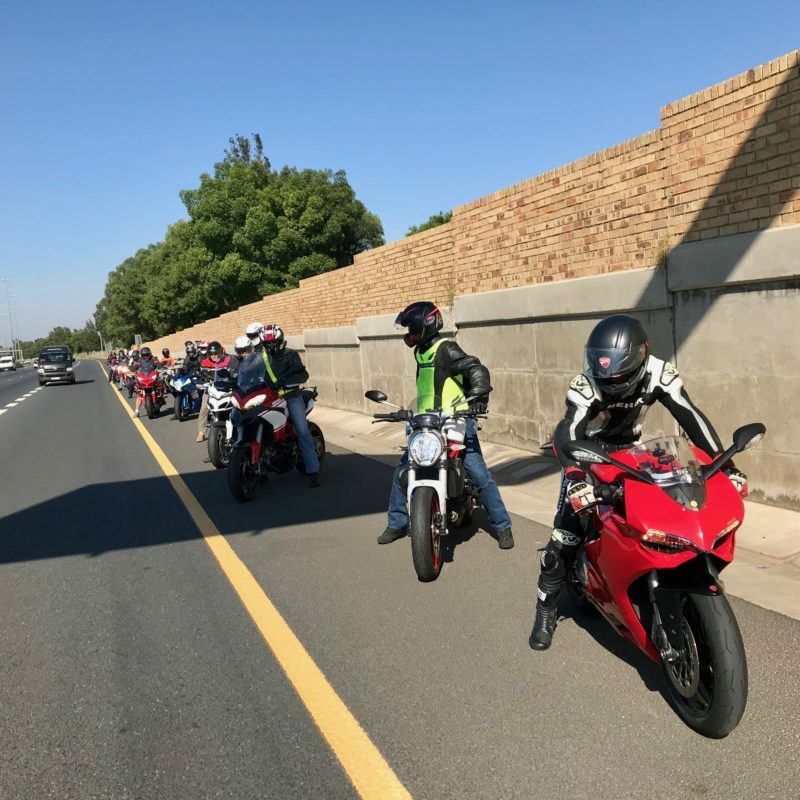 Ducati South Africa and the Ducati Owners Club of South Africa hosted the first Ducati breakfast run of the year heading to the Val Hotel roughly 150km south of Johannesburg. 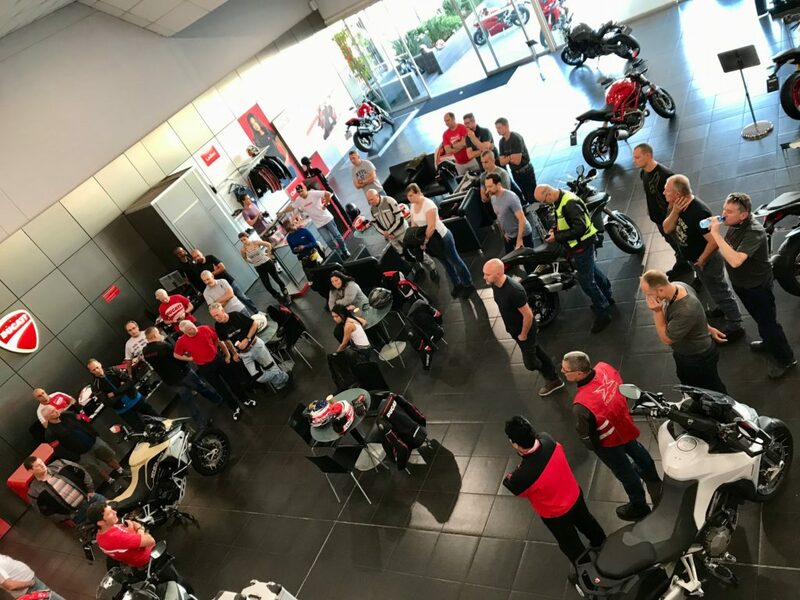 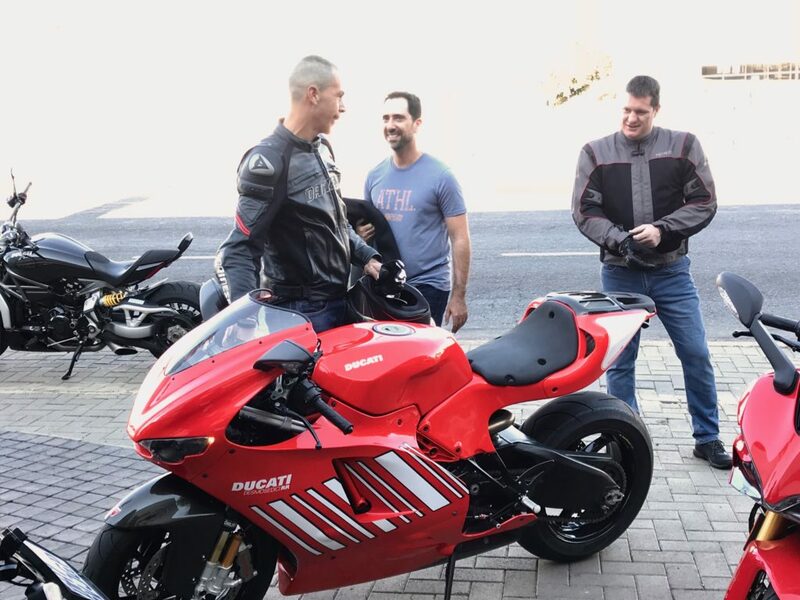 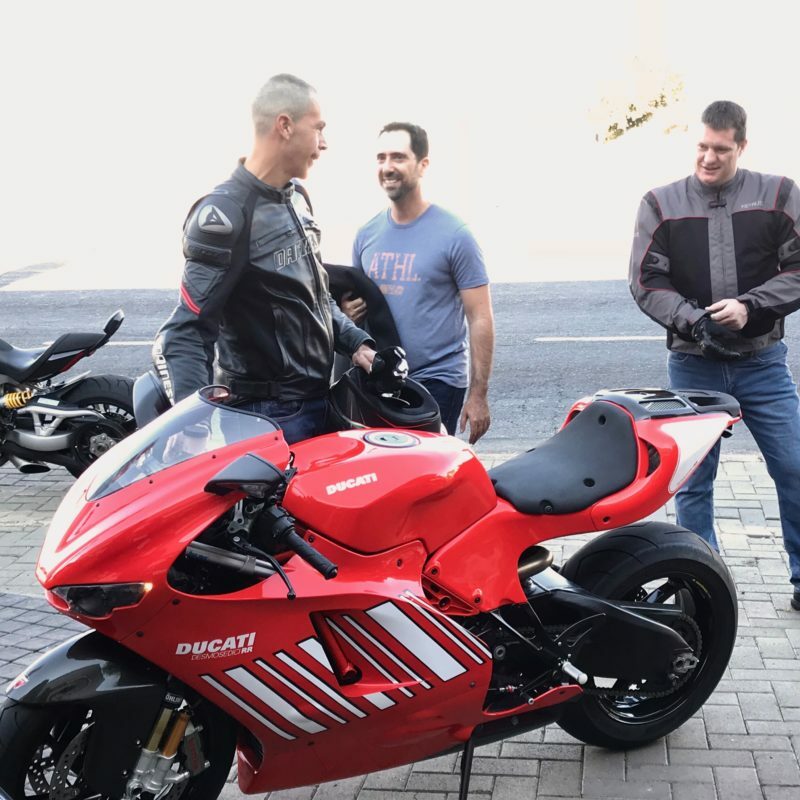 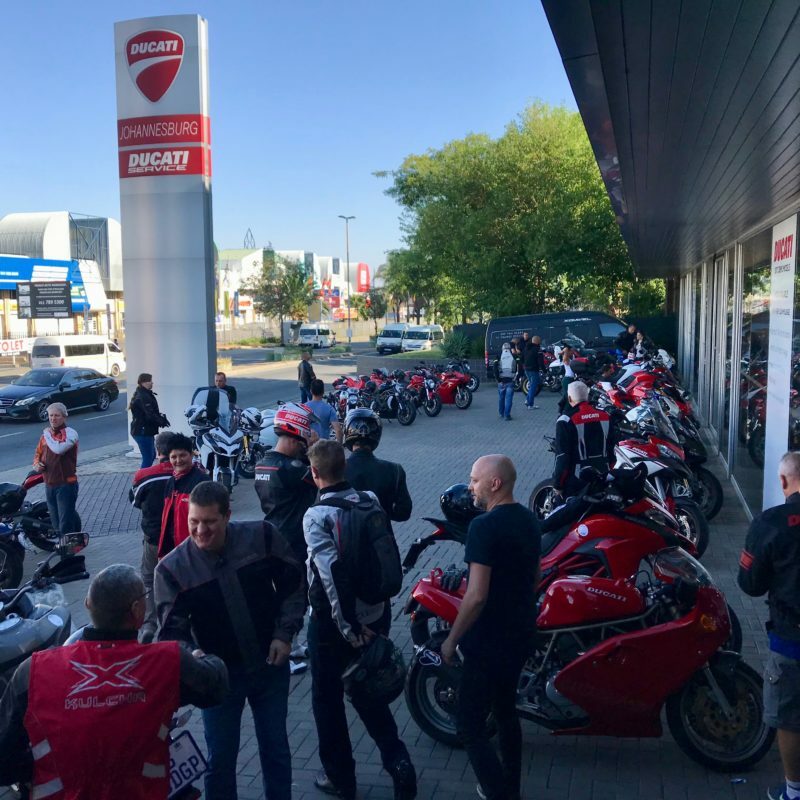 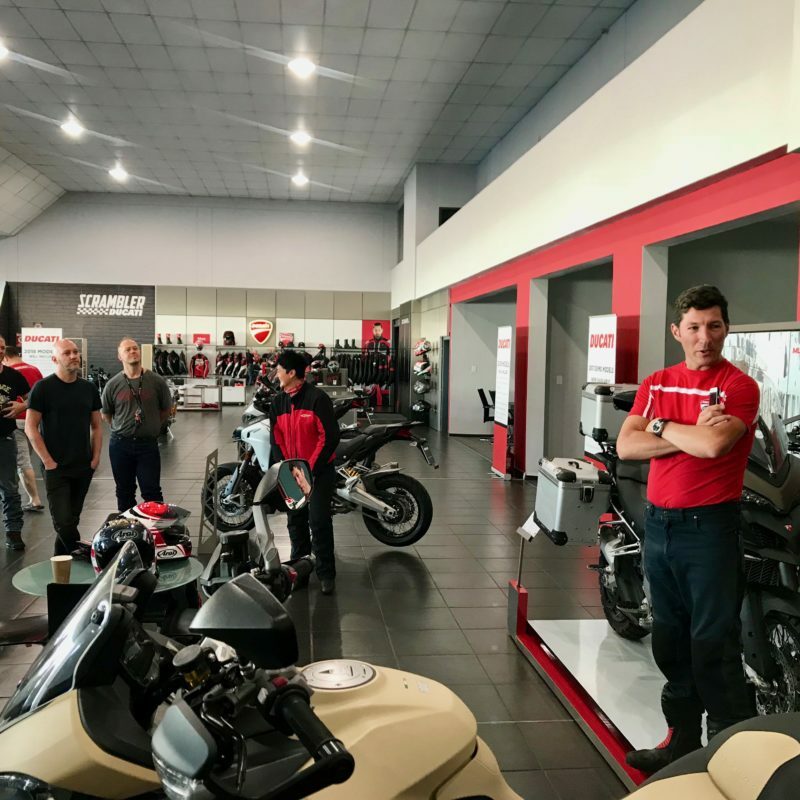 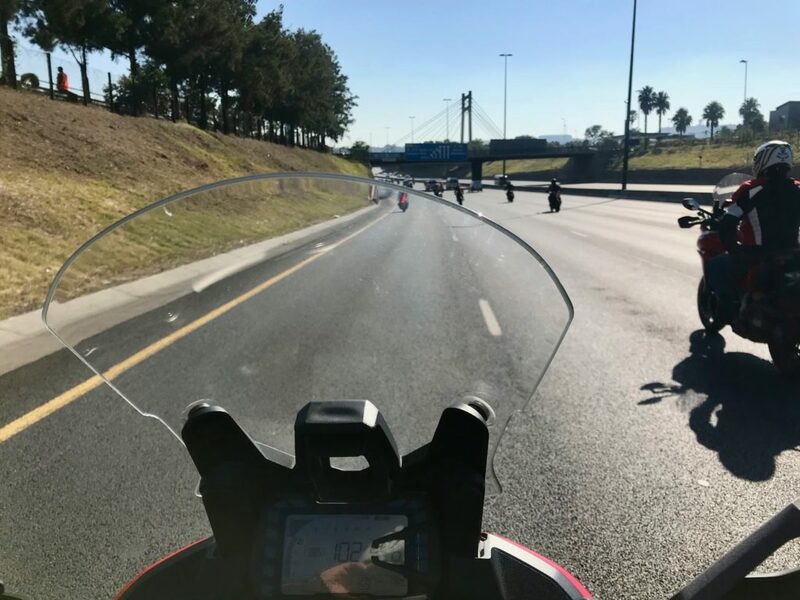 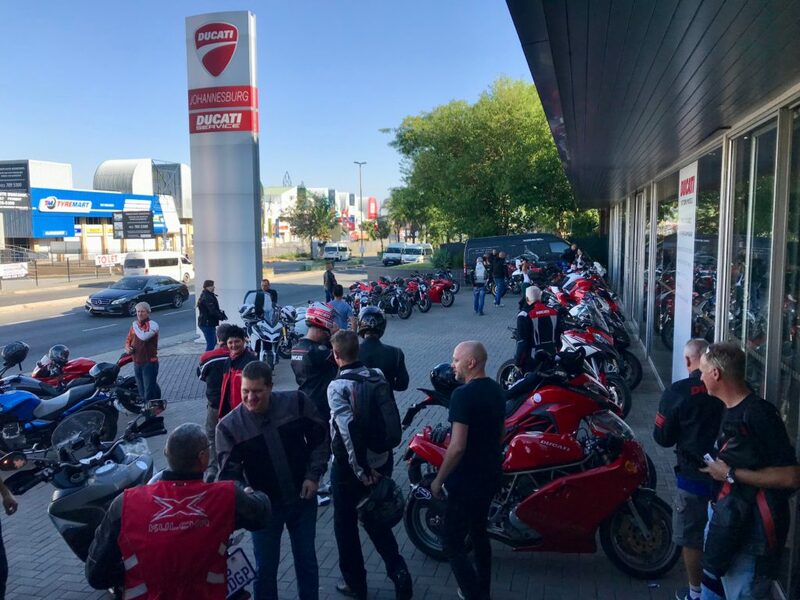 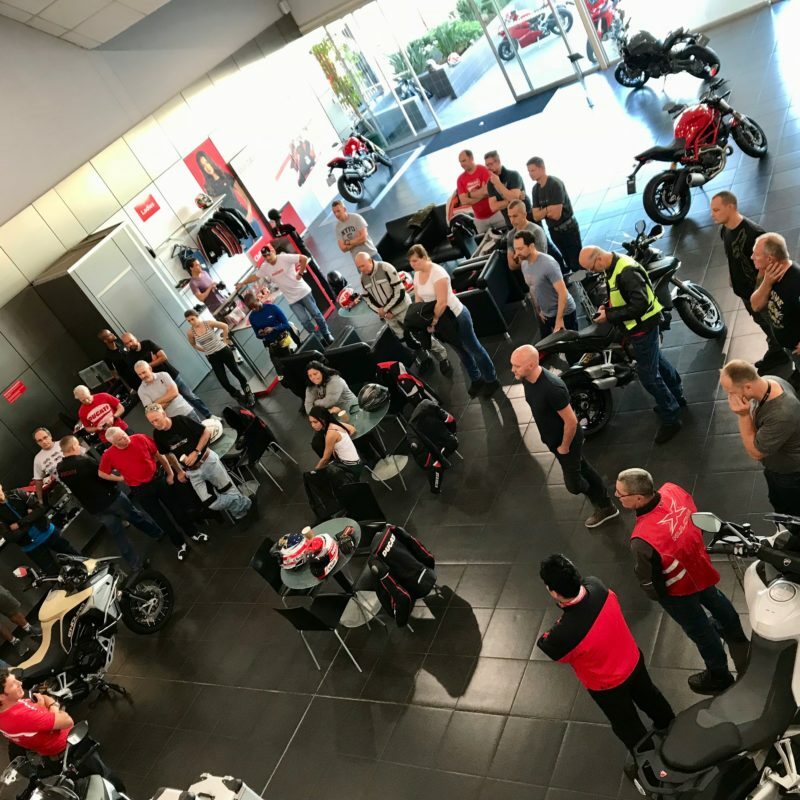 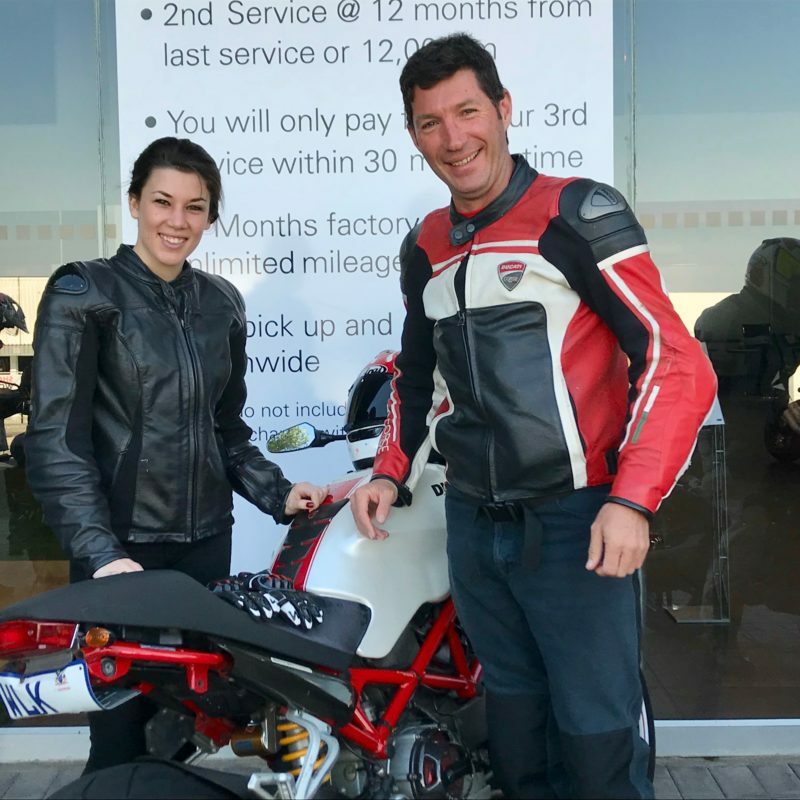 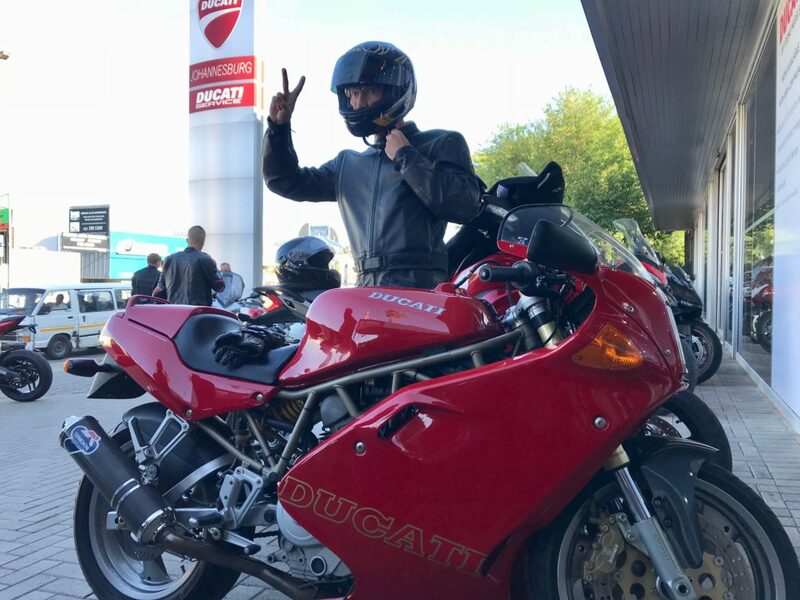 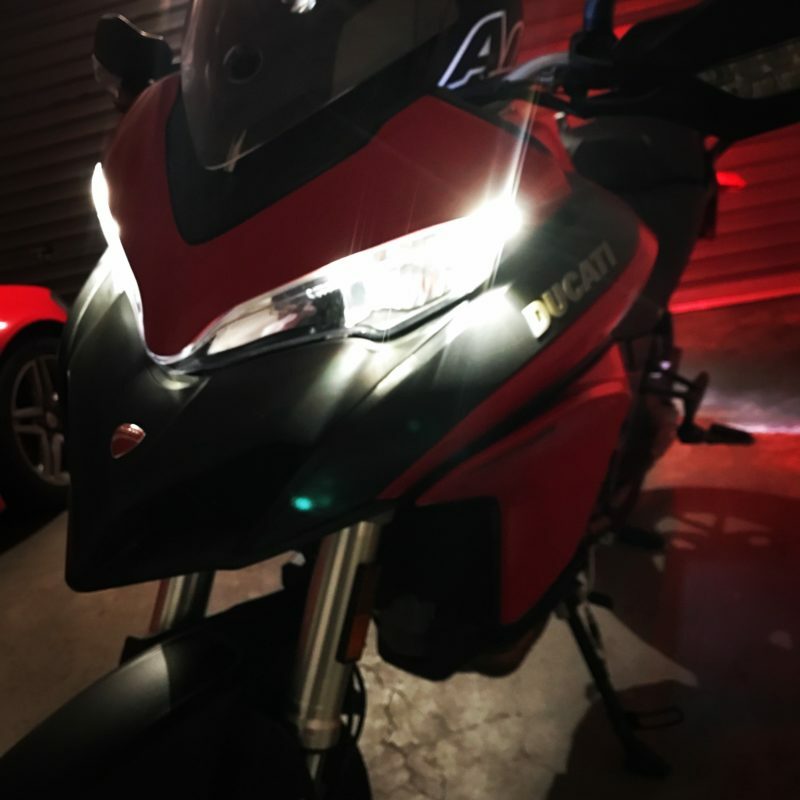 It started with coffee at Ducati Johannesburg before the 50-odd Ducatis started their engines to a glorious symphony of boom-boom-boom, chugga-chugga-chugga and clink-clink-clink as the group headed to William Nicole before growling onto the freeway towards to East Rand. 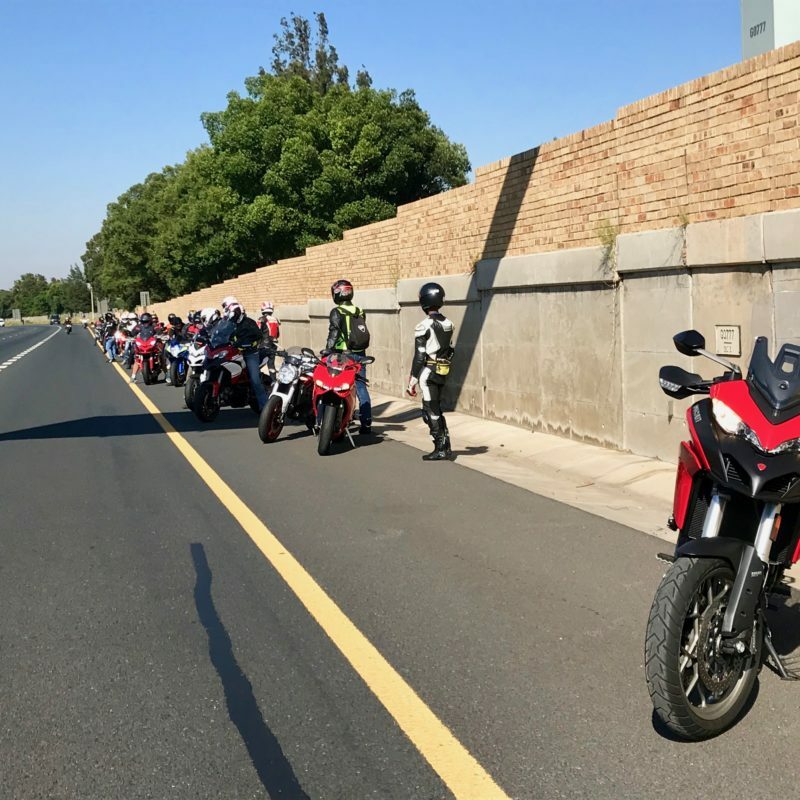 After taking over Snake Road, they run left the confines of civilisation and ventured into the lush countryside of southern Gauteng. 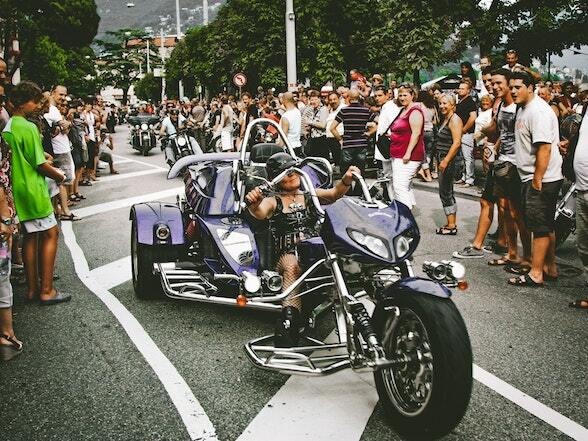 It wasn’t exactly a fast pace, but then it wasn’t a slow procession either. 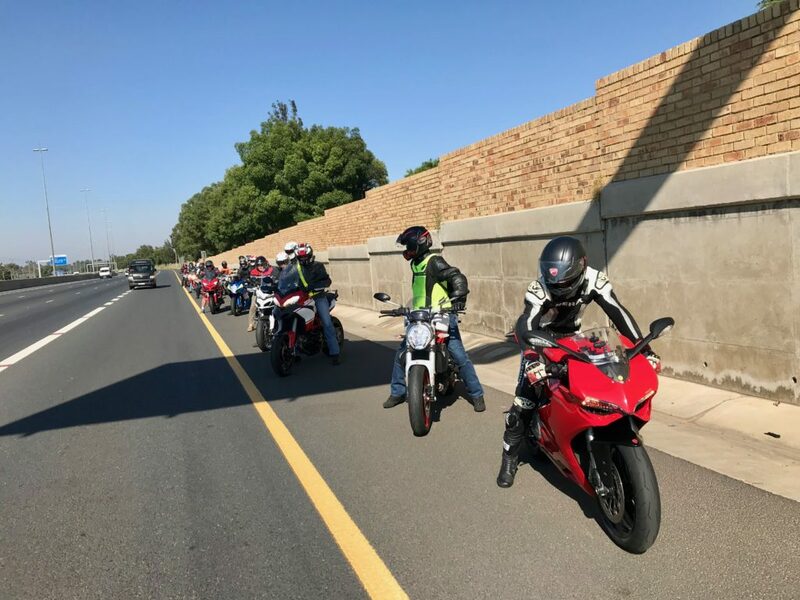 Interestingly, the faster riders chose to stay towards the back of the group, because then they had the opportunity to speed up when a catch up was necessary. 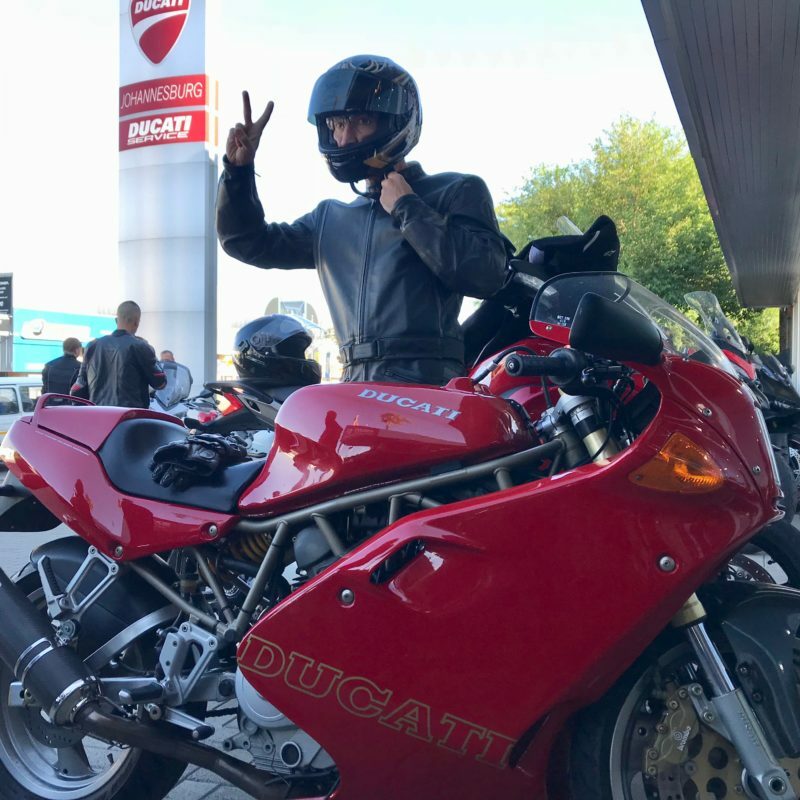 After a drinks break at a garage, there was one more blast before the Val Hotel. 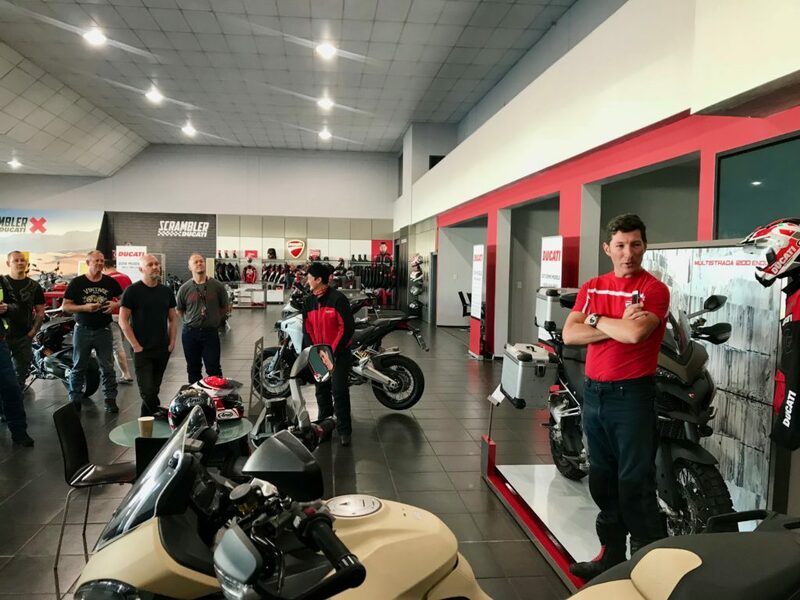 The Ducati Multistrada 950 with a Monster S4 and a line of shoes in the town of Val. 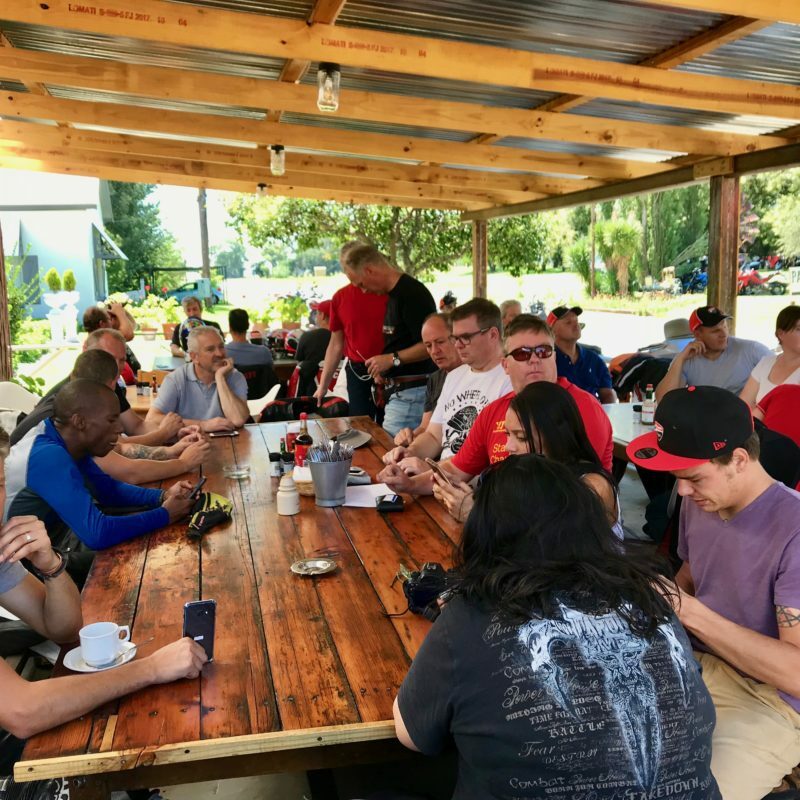 The town of Val is described as a hamlet, which is a perfect description. 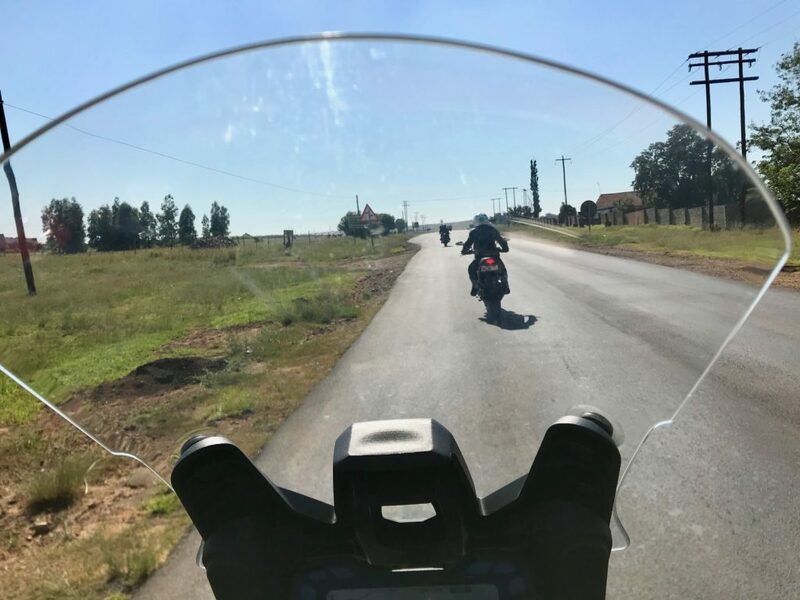 Strictly speaking, it is a tiny, one horse group of houses, but the rolling countryside, the vintage styling of the buildings and the smiles on the faces of the locals give a delightfully quaint feeling. 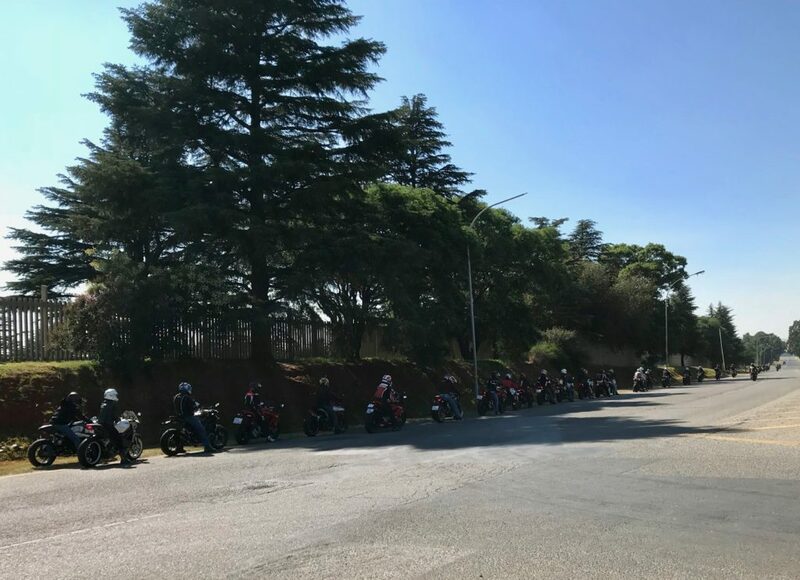 And just for fun, there is a line across the main road with an assortment of shoes hanging on it. 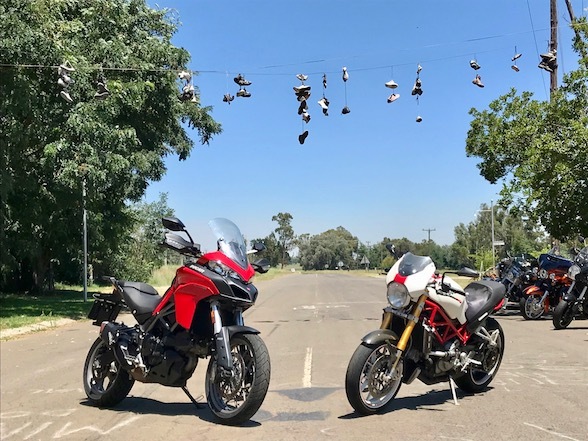 The movie Big Fish had a town that also had shoes hanging, and they based this on the town of Val. 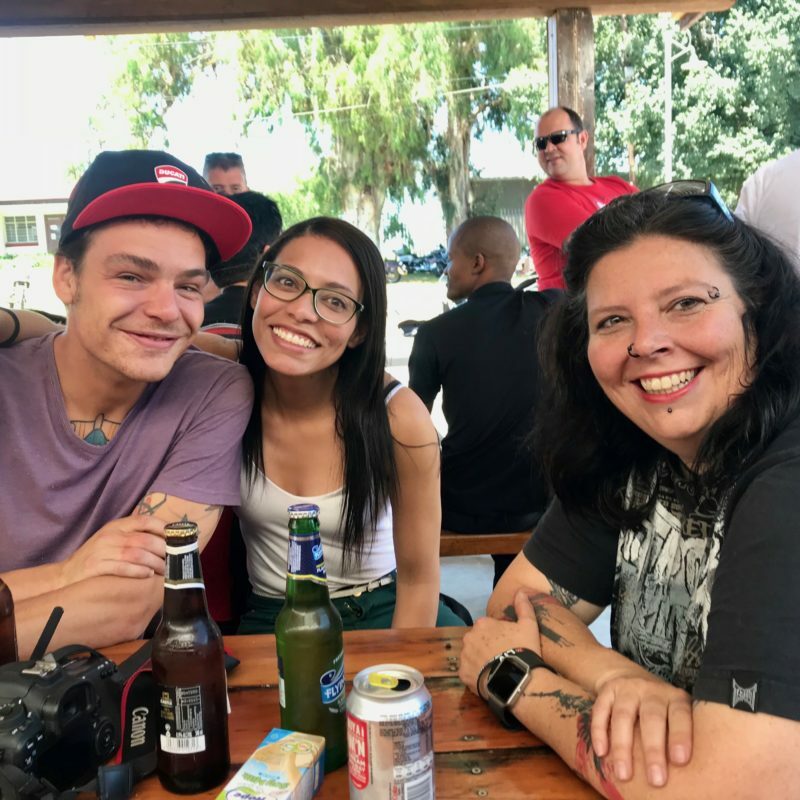 Some may argue that it was the other way round, but we like Val so we will stick to our story. 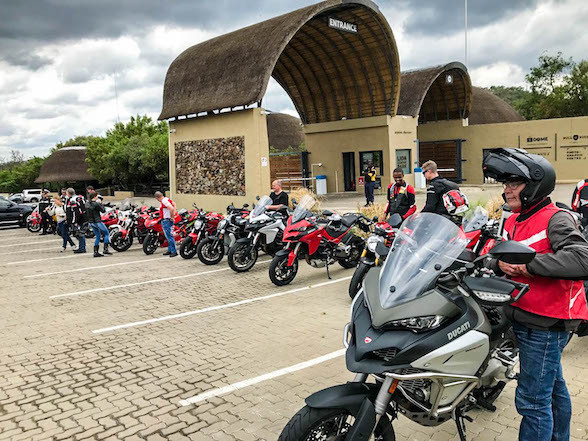 The Val Hotel is a popular biking venue, and already had a road-fill of bikes in front of it. 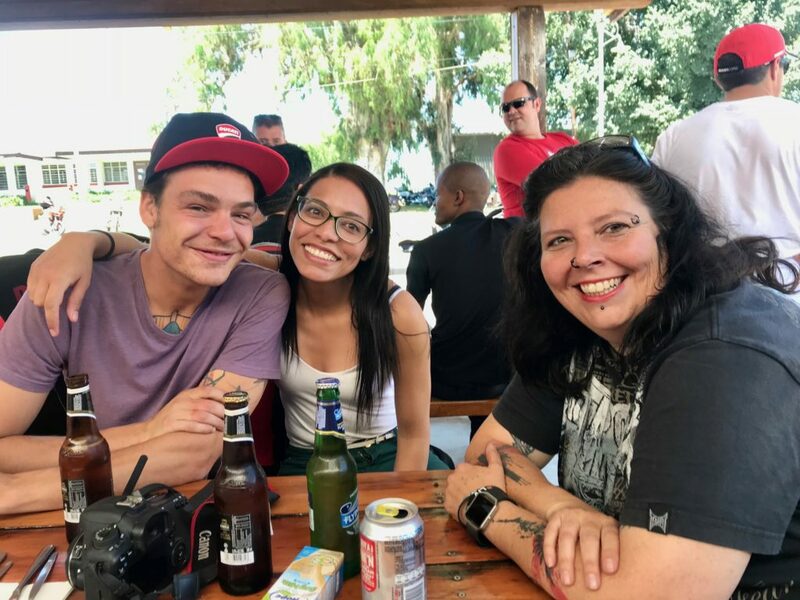 Thankfully, the DOC clan had the foresight to book ahead. 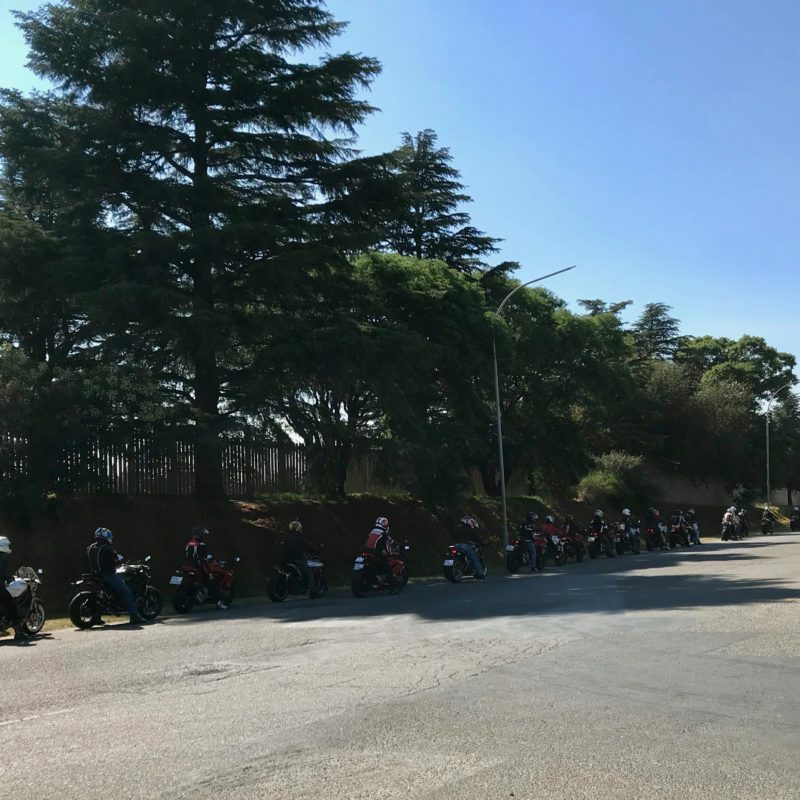 It started life in 1888 as a coach stop, and retains the classic look and styling of the original hotel serving as a beautiful juxtaposition to the gleaming Ducatis parking in front of it. 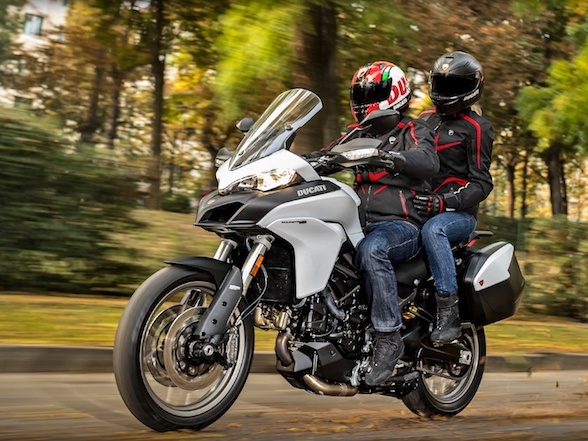 We have already covered this model, but Ducati were good enough to loan me a Mulitstrada 950 for the ride, and so we better say something about it. 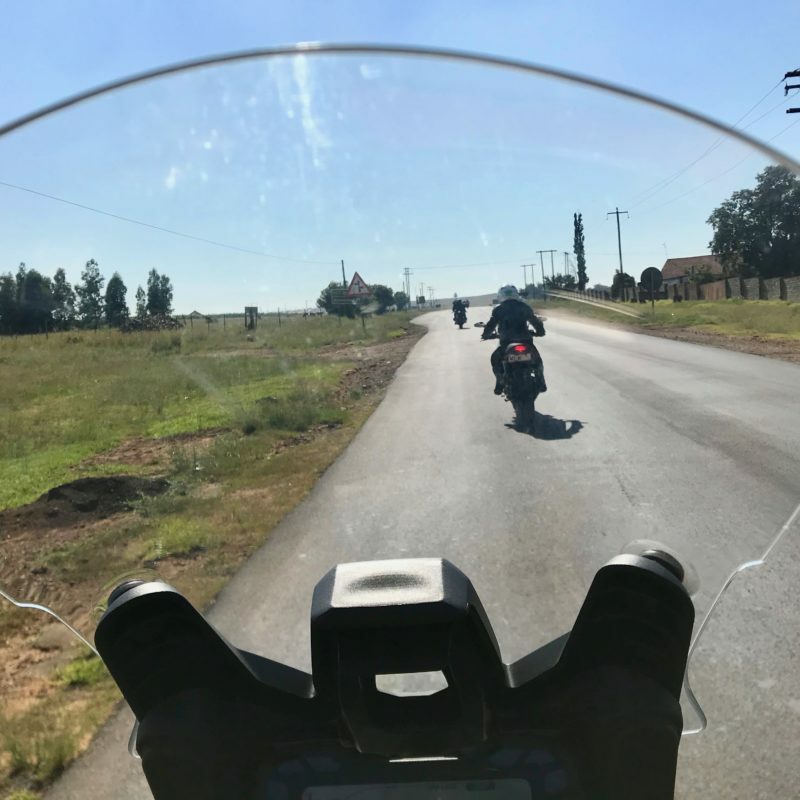 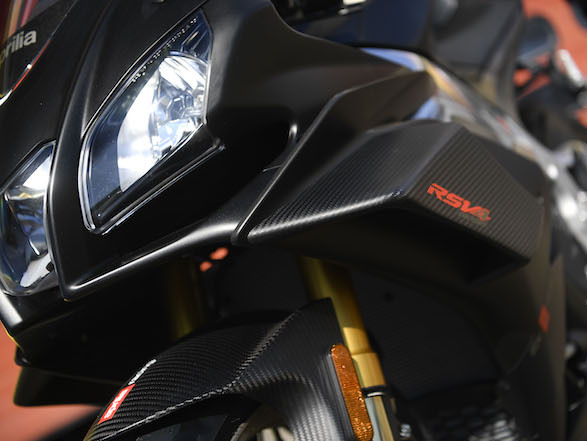 We previously said that it has some of the best ergonomics of any motorcycle, and a long country ride like this only compounded this opinion. 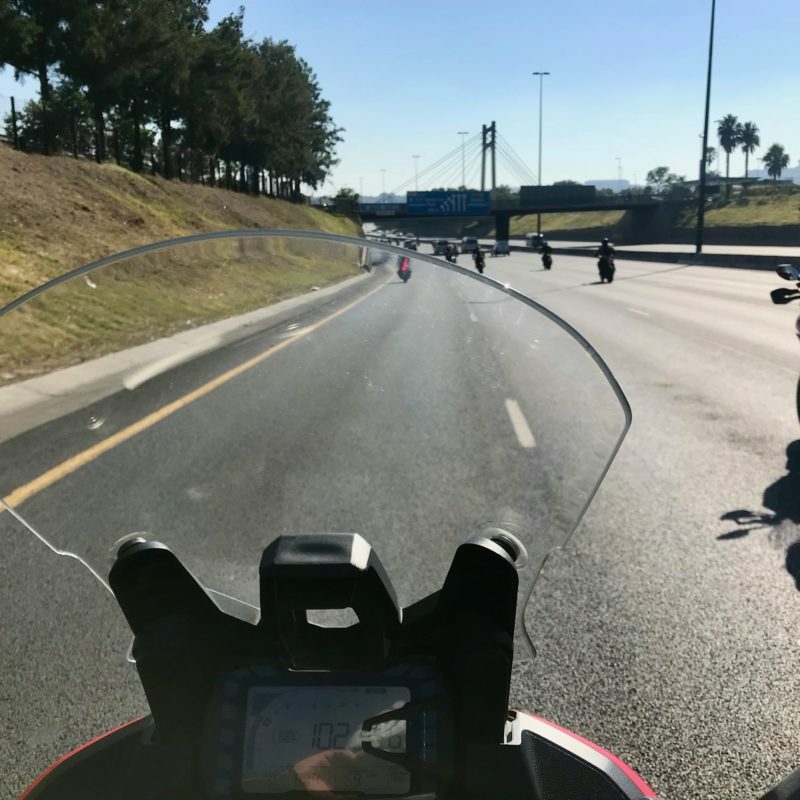 The 20L tank gets somewhere around 400km of range, and it’s possible to do this all in one sitting without any significant complaints from any cantankerous body parts. 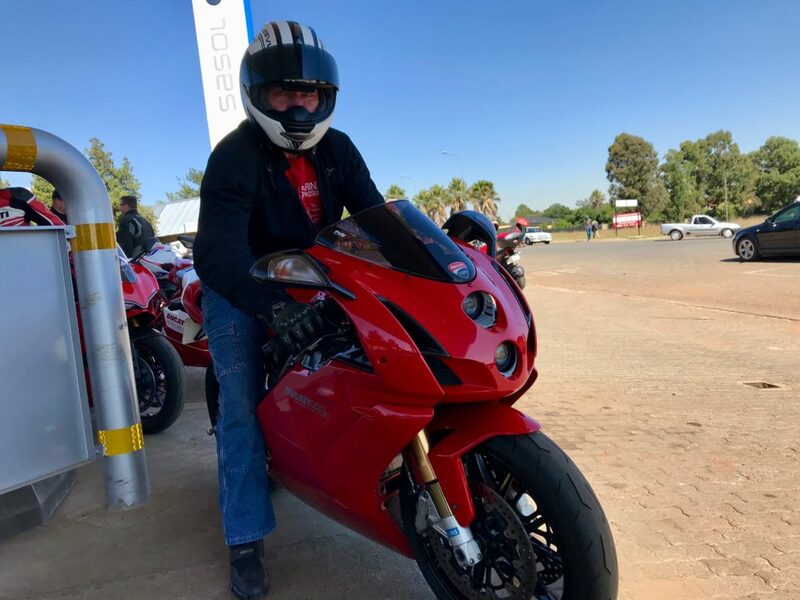 Perhaps it is the the seating position, the footpeg position, the comparatively light handling, the friendly power delivery or a combination of all these elements, but this is a comfy mile gobbler. 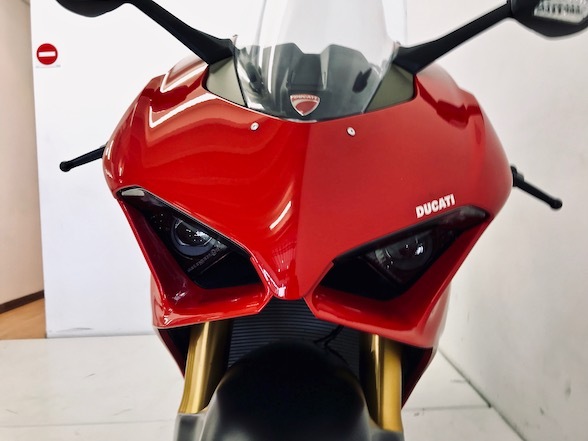 There are electronics, but not enough to be confusing, the power delivery is fast enough to be fun but it won’t cause anxiety, the top speed with enough of a run is 220km/h and have we mentioned that the seating position is fantastic? 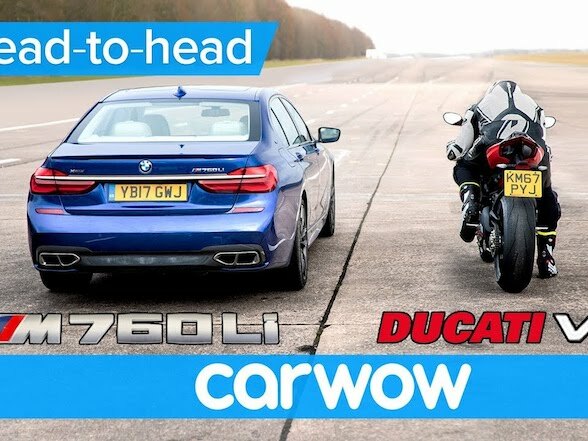 See our previous story for the full road test. 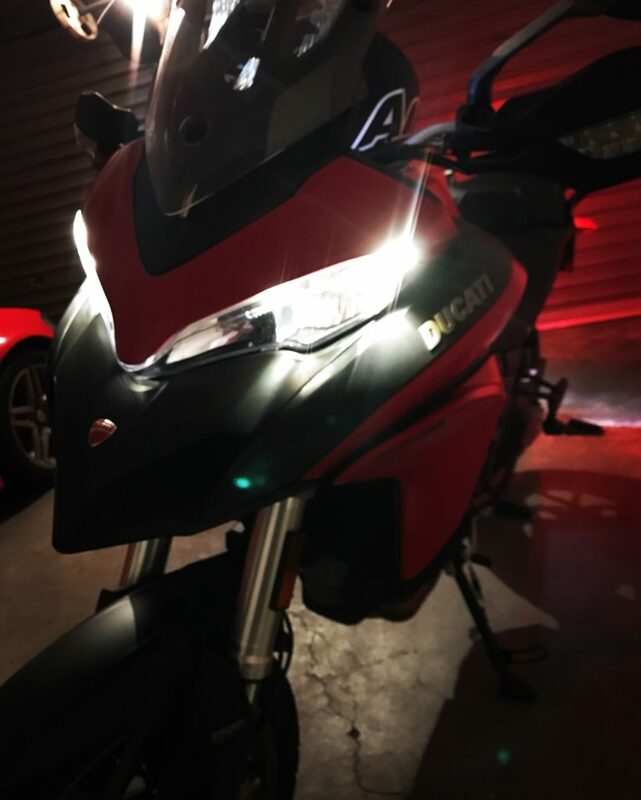 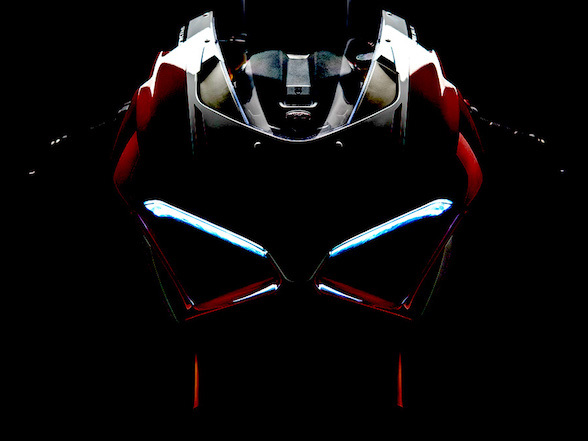 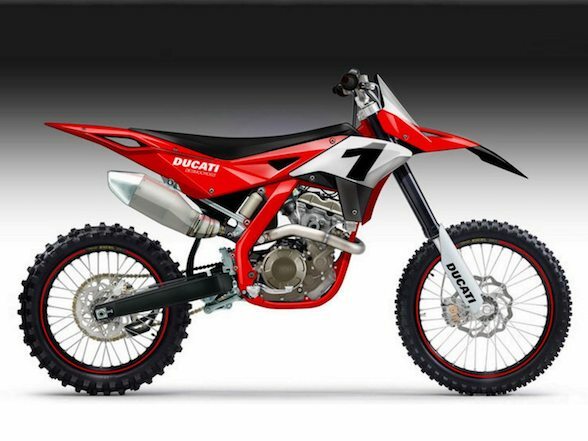 Or see Ducati’s website here. 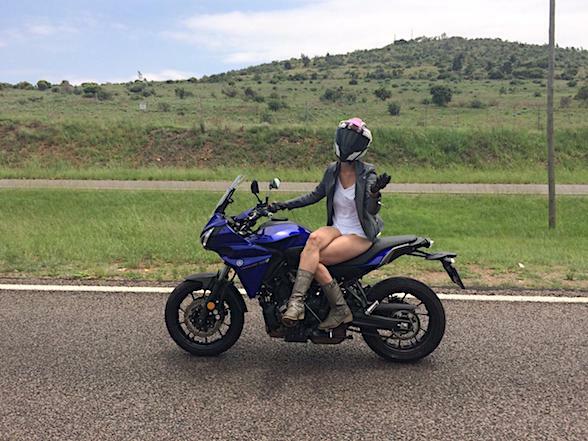 Zoé living out her dream of posing under a line of shoes. 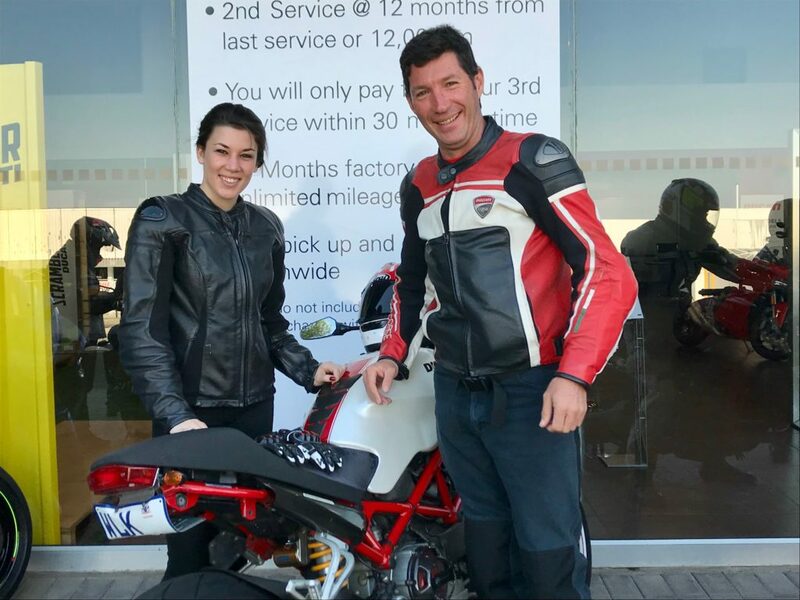 Lady racer Zoé Bosch and Jonathan Isherwood. 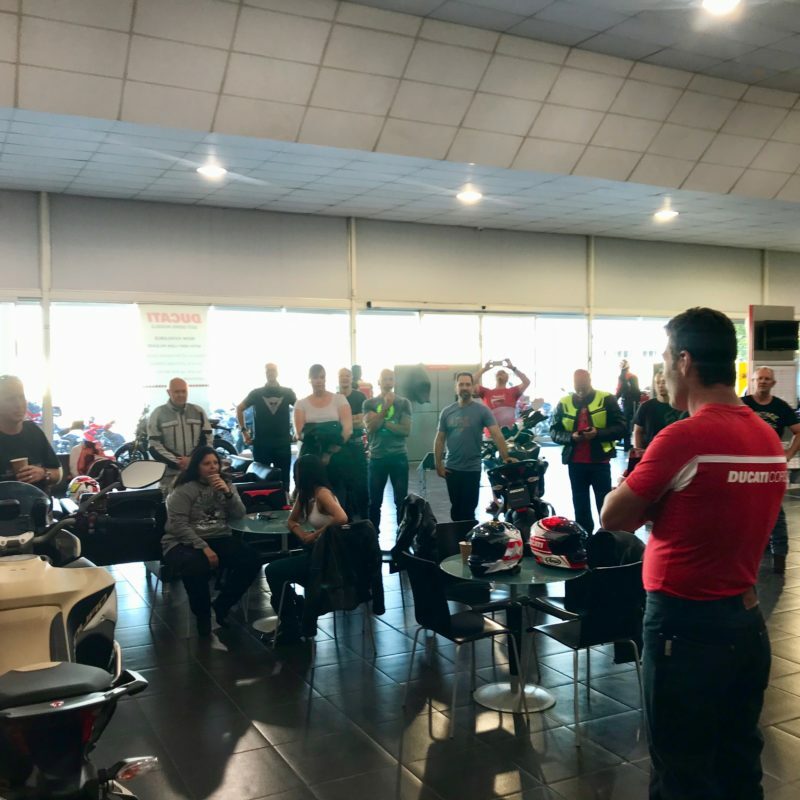 Ducatis of all models and years attended. 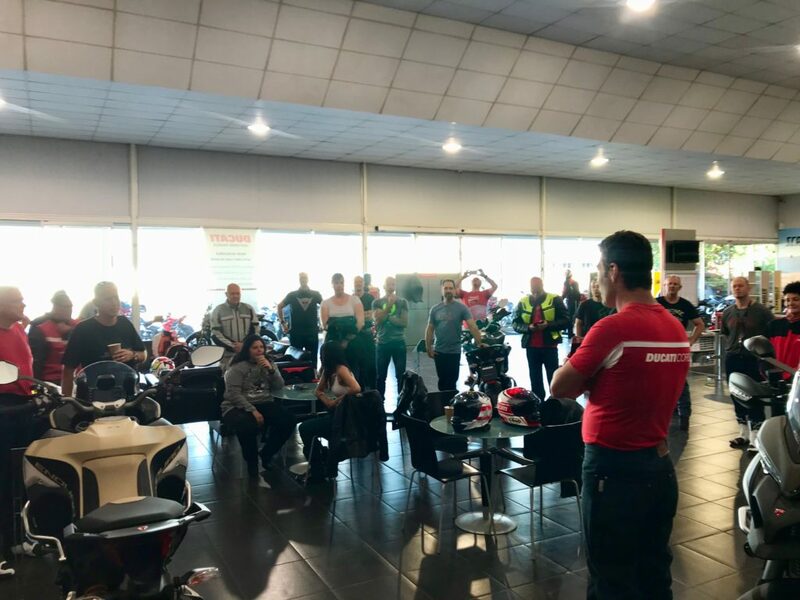 Jonathan Isherwood, the head of the Ducati Owners Club of South Africa, addresses the troops before we set off.